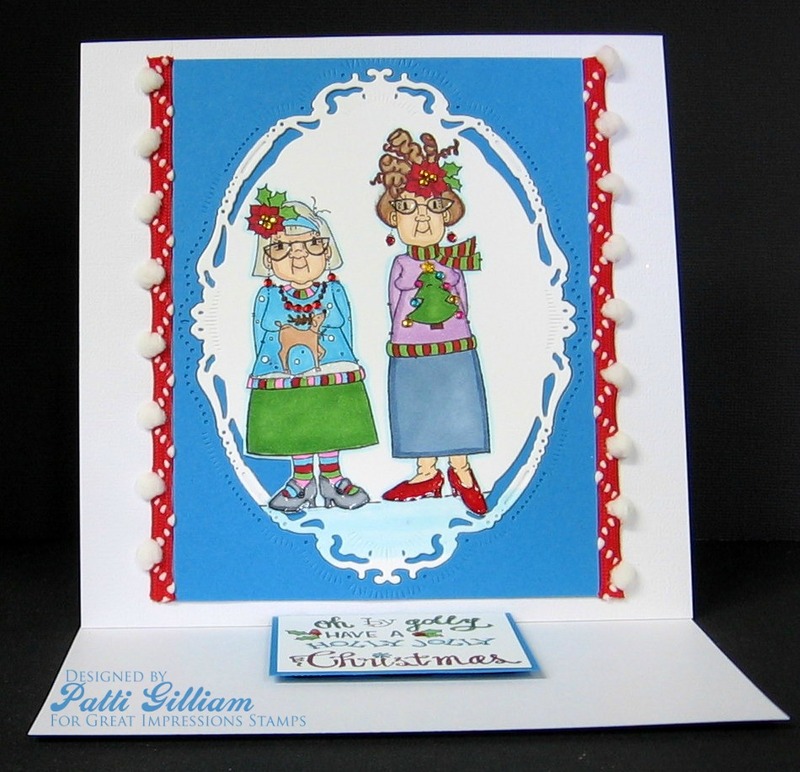 Great Impressions: Mabel & Vera ready for Christmas!!! sweaters and jewelry, and shine on their glasses and shoes! I think if you click the photo, you can see it a bit larger. 'Deck the Halls with Ugly Sweaters'. You can find it HERE. fun, new sentiment for my card...hope you like it! Here's a photo taken of the sentiment. 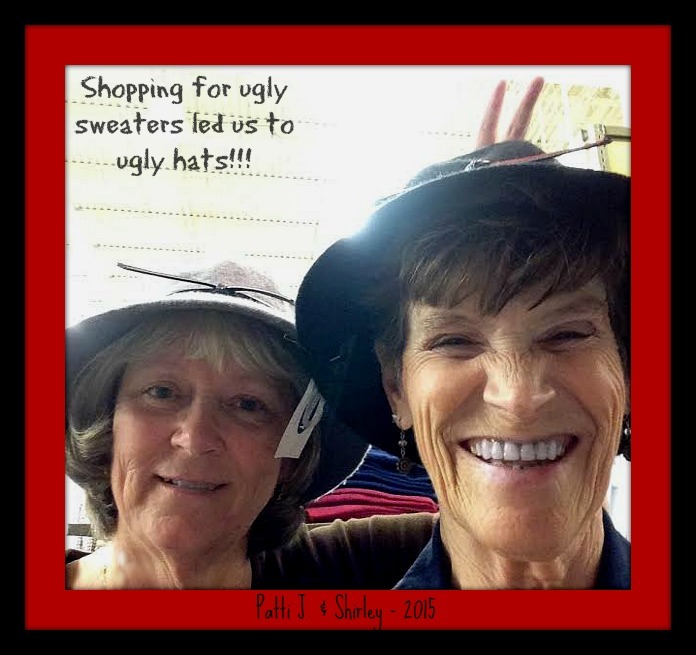 we knew we just HAD to go shopping for some ugly sweaters. I hope you will check out our current Great Impressions Challenge, and if you use Great Impressions stamps be sure to link them up in our Customer Gallery! The challenge just started this week, so you have lots of time to enter! 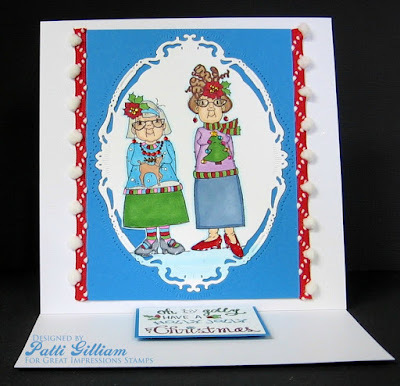 Labels: E883-Oh By Golly , K106-Holiday Vera & Mabel , Patti J.
Oh that card is so adorable Patti! You and Shirley are just too funny (and two cuties!!)!! What a lovely picture with your dear friend, you two look like you're having a blast! What a great card too...fabulous coloring!